This campsite is hard to beat! 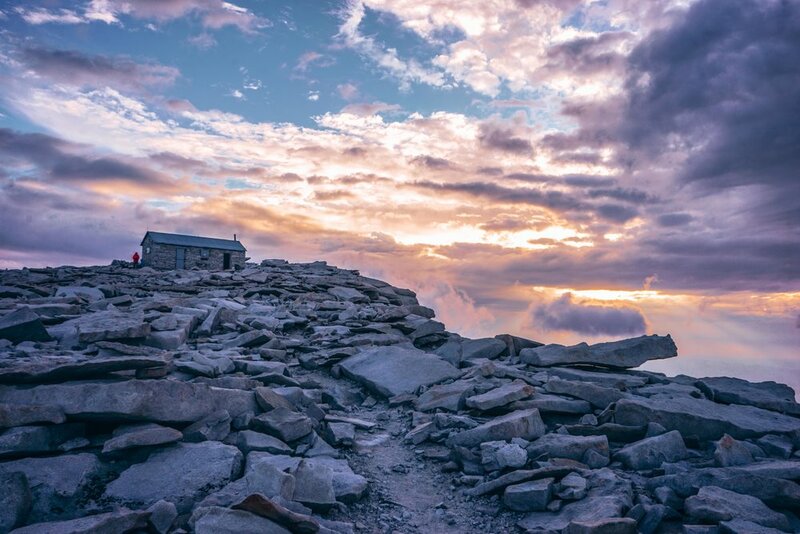 Although clouds rest isn't officially a part of the JMT, we were pretty happy to include it! The phrase: “I can’t believe this is happening!” was said over and over as my friend, Alison, and I packed and repacked our bags the day before heading out on the longest through-hike either of us had either done. We knew it would be three weeks of living an entirely different lifestyle: carrying everything we would need on our backs, no electricity, internet, or Netflix, and best of all: being outside 100% of the time. We were immediately surprised how natural it felt. On the third day, I completely accepted that this was my life now. I had a routine, a rhythm, and I was having a blast. It set in why I love backpacking: it never feels like you are just waiting for the destination. You don't just show up, take a photo and go home. You are living and breathing each moment, trying your best to take in the whole experience; the whole view from start to finish. From 20 days on the trail, the following four things were what I appreciated most and what I will seek from every through-hike I set my sights on. Having 20 days on foot to explore California's backcountry made it impossible to know what to expect each day. Each twist and turn in the trail, therefore, revealed a surprising new view and scenic overlook! Although Yosemite rightfully gets the hype and tourists when it comes to California's nature, the National Forests we crossed along the JMT made me wonder how many unbelievable places in the US and the world that are "undiscovered" due to being a bit remote. I particularly fell in love with Ansel Adams National Forest. We took more breaks than ever here, stopping to look at streams that snaked through beautiful meadows, listening to birds chirping, and watching the butterflies that surrounded us. I was half expecting to see Snow White's dwarfs or a hobbit walk by. Being on top of passes allowed us to see how far we had come. Dramatic landscapes were the norm. One day stands out in particular where it hit me that I was having the time of my life. It was at the Lake Marjorie campsite (at least that’s where we thought we were). We set up camp after confirming it on the map and used the daylight hours to swim in the freezing lake for a total of 10 seconds before soaking in the sunshine as we did our laundry and cooked our meal. These completely normal things, when done outside, were absolutely wonderful. Funnily enough, 20 minutes into our hike the next morning we got to the actual Lake Marjorie. Although it was also beautiful, it was crowded with campers. I was a little embarrassed but realized that I enjoyed the little “mistake” and wouldn't mind making more of them! A great spot to set up home for the night! The beautiful lake we believed to be lake Marjorie. Usually, if there is a storm coming, you stay inside and make hot chocolate or something; you don’t experience it in a tent on an exposed mountain range. But now, I know what it feels like. It’s hard to sleep. You wonder if the lighting is as close as it looks. And when you have a friend also wide awake, you ask: "what happens if the tent gets hit by lightening? ", “are the trees around us tall enough? ", and "should we have found a more protected site?..was there a more protected site?“. One storm was a bonding moment between us and fellow hikers when just 30 minutes into the day, about 10 of us rushed from where we were on the trail to the nearest campsite to set up our tents in the worst rain ever to create shelter. Alison and I sat in opposite ends of the tent, drenched, to hold the tent in place with the unbelievable wind. Our thoughts were focused on listening to make sure the hikers were safely inside their tents and when it finally cleared up, all 10 of us acknoweldged the true magnitude of Mother Nature. Unfortunately my new-found skill of reading the weather isn’t as useful in the real world, but it was a unique feeling to be aware and in tune with my surroundings. Challenging weather made climbing passes more fun..right? Alsion deciding if the pass was a good idea in the current conditions. 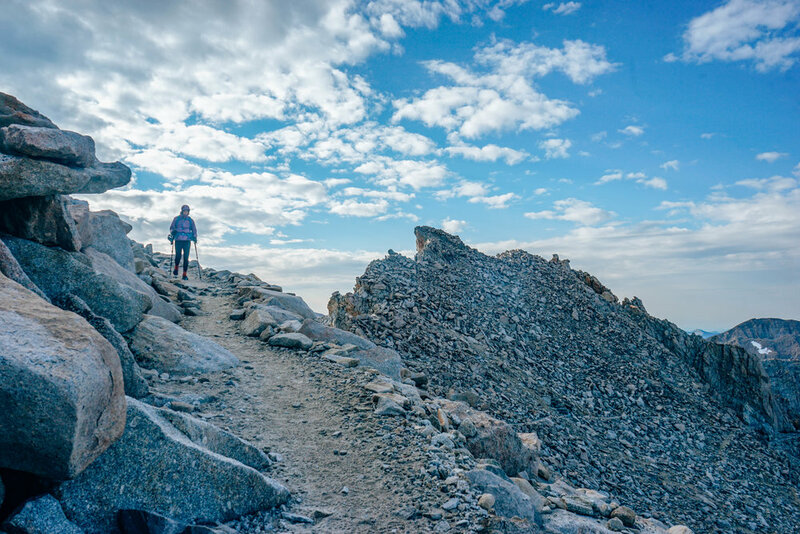 On the last day of the trail, we summited Mount Whitney for sunrise. We were up at 1:30am to pack our gear. We climbed for about three hours to arrive at the "shelter" at 5:30 am…WAY too early for sunrise. We spent an hour shivering inside the hut since it didn't have a door and we welcomed the stream of people entering the small space, making it warmer. As light began to peak through, I decided it was time to stop nodding off and look outside. We checked out the sunrise with our sleeping bags wrapped around us and huddled together not being able to think of any conversation but about how cold and beautiful it was (an actual brain freeze). When I think about what truly made Mount Whitney and the entire JMT so special, I realize it was the people I was surrounded by. Alison and I connected with two sisters over the 20 days on the trail and I remember moments with them more vividly than any of the scenery itself. I often think back to the silliness as we got more comfortable with each other, all the laughter as we shared stories from the day, and the build-up of excitement as we got to summit Whitney. The sky doing magical things. As daylight came upon us, we were able to see where we had hiked up in the dark. Now that I am back, I miss the oatmeal and cold mornings, the power bar breaks with the best conversations; I miss complaining to Alison about the extra miles to find the perfect campsite (and then thanking her later). I miss the relief of the backpack coming off after a long, tiring day just as much as putting the backpack on each morning, feeling our bodies getting stronger. 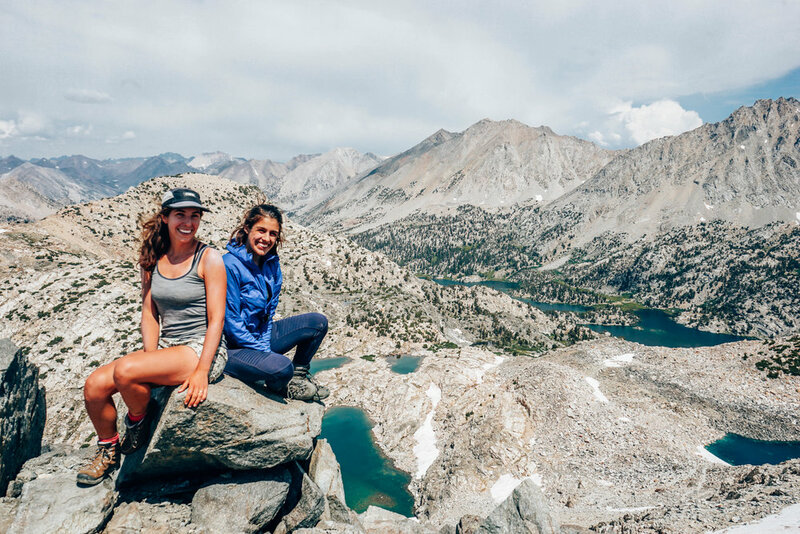 Three weeks backpacking through the California Sierra's has forever changed me and I know this experience is only the first of many long-distance through-hikes.